Thanks to one thing and another, I didn’t get many books read this week. Largely due to sleep deprivation, which makes me read really, really slow. I told you, I reread books a lot, especially Brandon Sanderson. To be fair, I reread this one on my phone- which is what I read on in the bathroom, when waiting in line, etc. If I only have a minute or two, I’ll just read on here. I get a surprising amount of reading done this way, including, weirdly enough, most of the YA novels I read. My Kindle is still the format I do more of my reading on than any other device, but not by a ton- dead tree format is right behind it, with my phone in a distant, but by no means insignificant third. Audiobook comes in dead last. I listened to all of two audiobooks last year. Before that, it was something like 2010 since the last audiobook I’ve read, and before that? I couldn’t even tell you. I’ll have more on this one soon, I’m gearing up to reboot the Hugo Readthrough. I meant to have the readthrough up and ready to go by now, but I’ve just not gotten much done and ready to go in the last week- I’ve been dealing with a major sleep shortage, which makes me move at about a quarter speed. 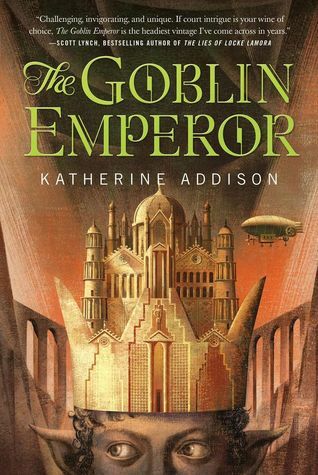 The Goblin Emperor was one of my favorite fantasy novels from last year- it’s a breath of fresh air in the genre. There is very little violence, it doesn’t particularly leave itself open to a sequel- it’s pretty frankly excellent. 2014 was a really good year for fantasy, but it would not surprise me to see this one as a Hugo contender, even for the normally very science fiction dominated award. Man, what really needs to be said about this one? A lot, actually, but I’ll wait a couple weeks. Absolutely love this book, one of my all time favorites. 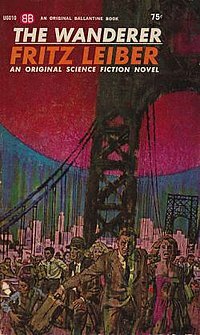 Posted in 2015 Reading List, Book Reviews and tagged Brandon Sanderson, Dune, Firefight, Frank Herbert, Fritz Lieber, Kathleen Addison, The Goblin Emperor, The Wanderer on January 26, 2015 by mountainwashere.